Forever Bike, speedway rider Terry Betts. Photo credit ©Simon Finlay Photography. After a terrible crash at the height of his career, International speedway champion Terry Betts turned his back on the sport, going so far as to dismantle his bikes to stop him racing. Now, he’s rebuilt the bikes that helped him win world finals. 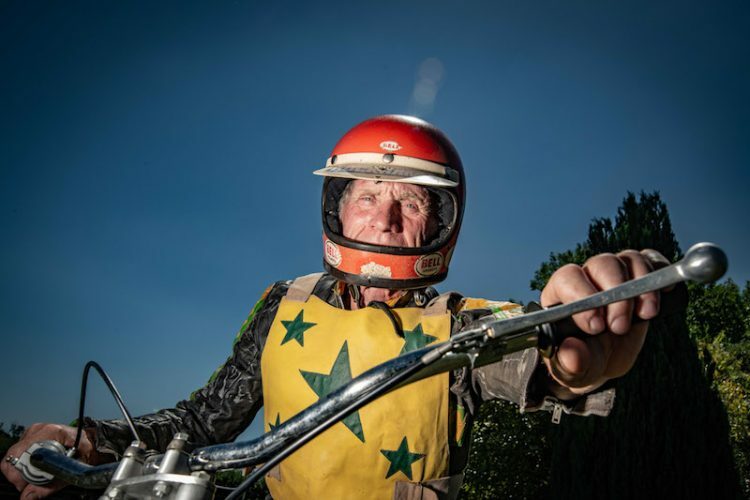 Terry Betts isn’t your typical 74-year-old retired pensioner, his life is one that’s been full of adrenaline and speed as, he is, after all, a former World Pairs and World Team Cup speedway champion. His competitive days may be behind him, but his eyes still retain a sparkle when recalling tales from nearly half a century ago. “Speedway was what I wanted to do. It was a dangerous sport and a lot of people got killed in those days. 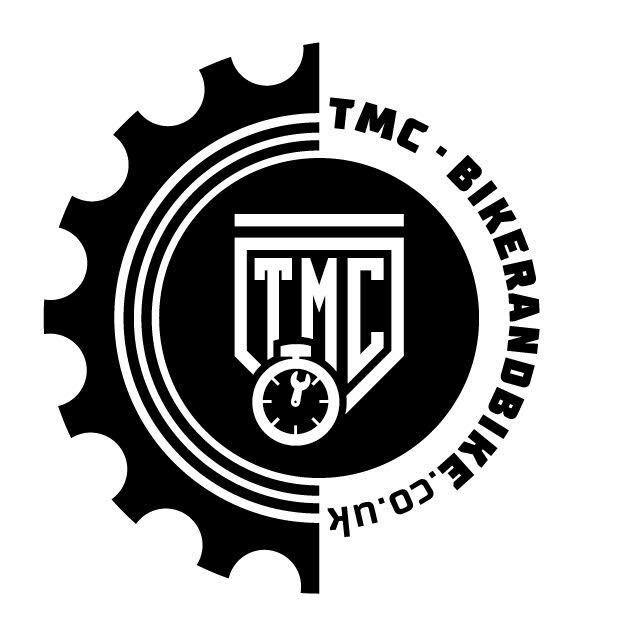 It was the thrill of the danger that attracted me to it.” Terry told Bikesure’s Forever Bike’s blog. In 1979 Terry quit the sport aged 36. The risks that first attracted him as a fearless teenager had become too great, a serious crash at Reading a sign not to push his luck too far. He had a young family to think of, new priorities and a new life to look forward to after two decades of domestic and international success. 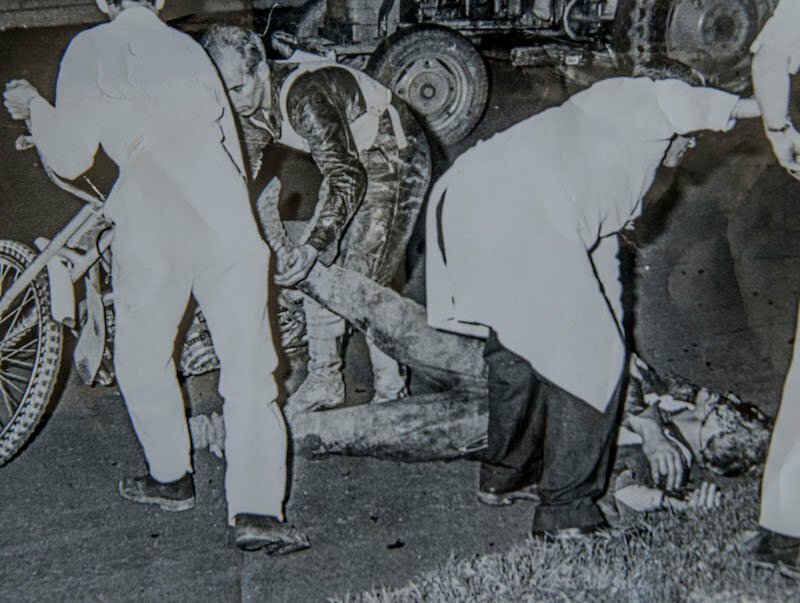 ©Simon Finlay Photography | Terry’s injury during a 1979 race. But he knew how easy it would be to get drawn back into the saddle, the offers would come – and he’d find them hard to resist. So he systematically dismantled all the bikes he’d kept from 20 years in the sport and stored them away. “When I packed up I made sure I had not got any bikes ready to race,” he says, just a few pounds off his racing weight at the age of 74. 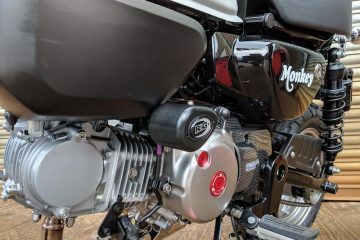 After a successful career buying and running a garage, around 10 years ago Terry’s son persuaded him to rebuild the bikes that had made him an international star. 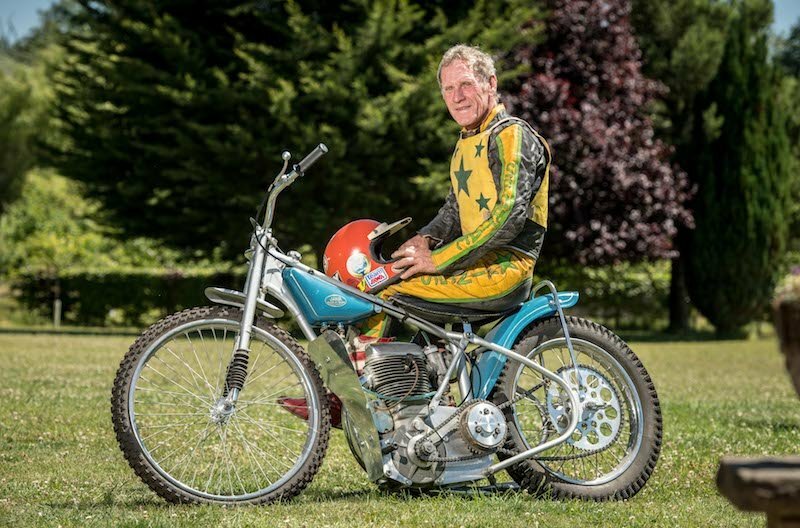 Of all the bikes he kept, the first to be restored and closest to his heart is the Jawa on which he won the 1972 World Pairs title with Ray Wilson in Sweden. 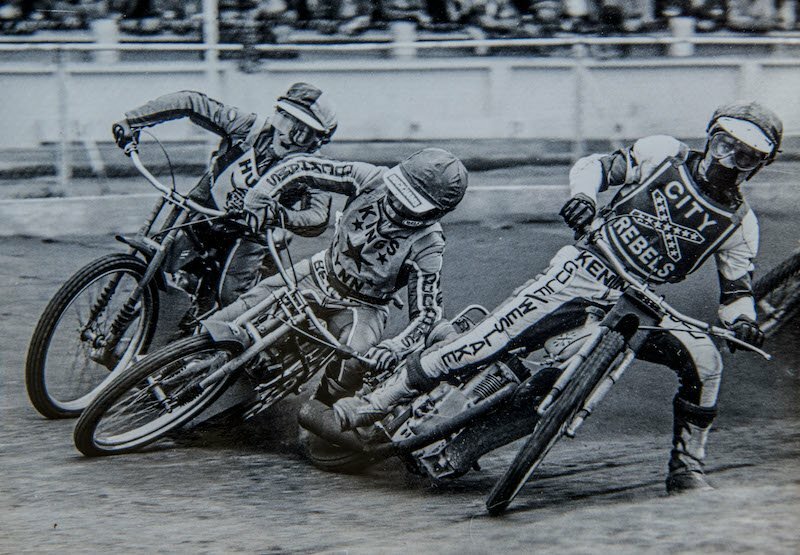 Bought with his own money for £491 at the start of that season, sitting astride the Jawa’s banana seat now and grabbing those wide handlebars throws Terry right back to the second golden age of speedway. “It takes me back to travelling on the ferry to Sweden with Ray, with the bike in the boot of a Mercedes, and coming back after winning the World Pairs,” he says. “No-one had given us much of a hope. It was more or less expected that the Swedes were going to win it. “It’s something I can always go and have a look at and remember being in Borås in Sweden with that bike. That was probably my biggest achievement in speedway. 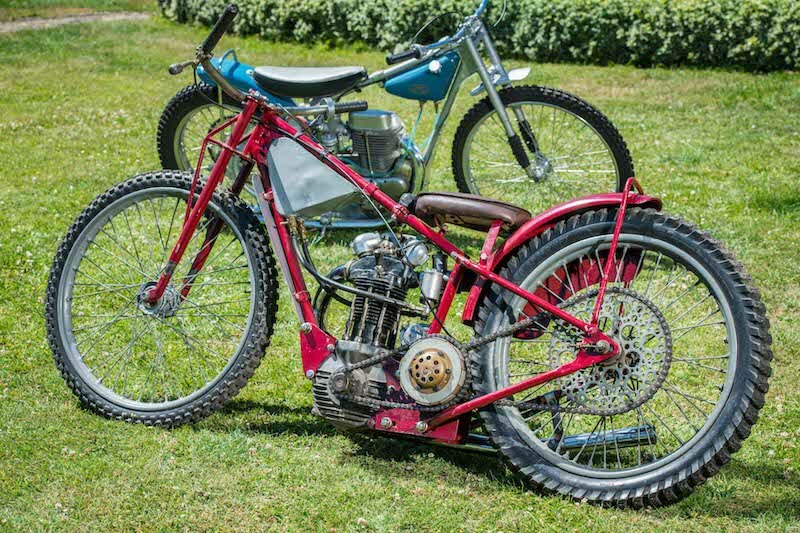 Jawa bikes revolutionised speedway in the late 1960s, the Czech-made machines were lighter and faster than the British-made JAPs (J A Prestwich) on which Terry started his career as a raw 16-year-old at Norwich in 1960. “The advantage was people could go and buy a bike that, almost off the shelf, was capable of winning the World Final. As well as the 1972 Jawa bike, restored to as-new, as opposed to racing specification, Terry still owns several other racing bikes. Including one he competed on with a broken collarbone at the 1974 World Final, and the last bike he rode during his one season at Reading. “They’re the ones that mean something to me, which is why I kept them. Having done the 1972 bike I thought I might as well put the others back together. 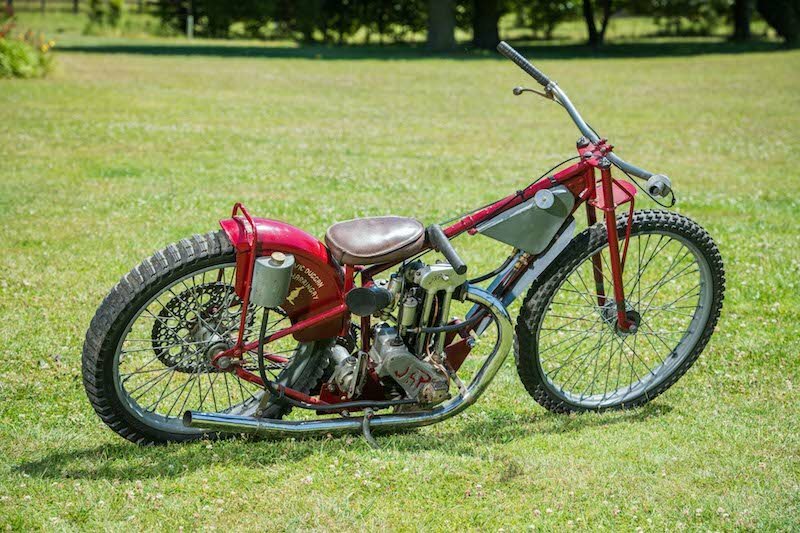 The one bike Terry didn’t keep hold of was a JAP, so he decided to buy one instead, finally finding a 1940s example ridden by Australian champion Vic Duggan. 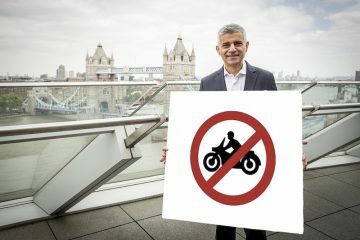 He eventually bought one from a guy in Kent who used to take it to shows. Terry’s stellar career may have come to a conclusion after 649 meetings, but the memories still burn brightly when he takes a walk into his garage to see his wonderful collection of speedway bikes. You can read more of Terry’s story on the Forever Bikes blog. 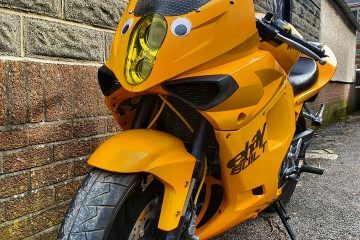 Is there a special bike in your life? Terry Bett’s story is featured in Bikesure’s Forever Bikes blog – the personal stories of motorbike enthusiasts who have owned their vehicles for 30 years or more. Read more stories at www.bikesure.co.uk/forever-bikes/. 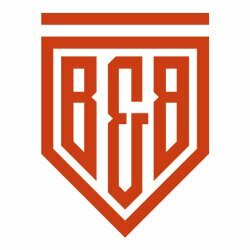 This article was produced in association with Forever Bikes. The blog follows the personal stories of motorbike enthusiasts who have owned their vehicles for 30 years or more. Read more stories at www.bikesure.co.uk/forever-bikes/. Guest contributors make a valuable contribution to Biker & Bike by adding their knowledge, passion and experiences to our mix of advice, rides and just about anything that can improve the biker's lot.